A study of electronic records and genome sequences from adults with age-related hearing impairment identified two genetic variations linked to the disorder, report Thomas Hoffmann of the University of California, San Francisco and colleagues at UCSF and Kaiser Permanente Northern California, in a study published October 20th, 2016 in PLOS Genetics. 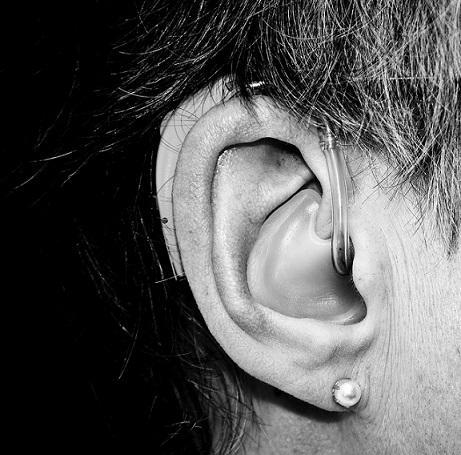 Age-related hearing impairment (ARHI) is a very common condition affecting one quarter of individuals aged over 65 and half of individuals who are 80 and older. While hearing aids and other technologies offer treatments, scientists hope that a better understanding of the underlying genetics of the disorder may one day yield a cure. To find genetic variations linked to ARHI, the scientists conducted a genome-wide association study using 6,527 hearing impairment cases and 45,882 controls among white participants in the Genetic Epidemiology Research on Adult Health and Aging (GERA) cohort, which is part of the Kaiser Permanente Research Program on Genes, Environment, and Health (RPGEH). They discovered two variants that contribute to the disorder: a novel variation near the ISG20 gene, and a second variant within TRIOBP, a gene previously associated with another type of hearing loss. To verify their findings, the scientists replicated the experiment in additional ethnic groups within GERA and in an independent cohort of individuals from the UK Biobank. They also looked at genes already known to play a role in hearing loss and identified two additional genetic variations linked to ARHI. This study provides novel insights into the genetic factors involved in ARHI. The discovery of the two additional variations in known hearing loss genes suggests that these may be regions of the genome to focus on in future studies of ARHI. The findings also suggest that large cohorts with genomic data and electronic health records may be useful for revealing the underlying genetic basis of ARHI and other disorders. Funding: Analyses were facilitated by NIDCD grant K01 DC013300 (to TJH). Genotyping of the GERA cohort was funded by a grant from the National Institute on Aging, National Institute of Mental Health, and the National Institutes of Health Common Fund (RC2 AG036607 to CAS and NJR). Support for participant enrollment, survey completion, and biospecimen collection for the RPGEH was provided by the Robert Wood Johnson Foundation, the Wayne and Gladys Valley Foundation, the Ellison Medical Foundation, and Kaiser Permanente National and Regional Community Benefit Programs. The funders had no role in study design, data collection and analysis, decision to publish, or preparation of the manuscript.